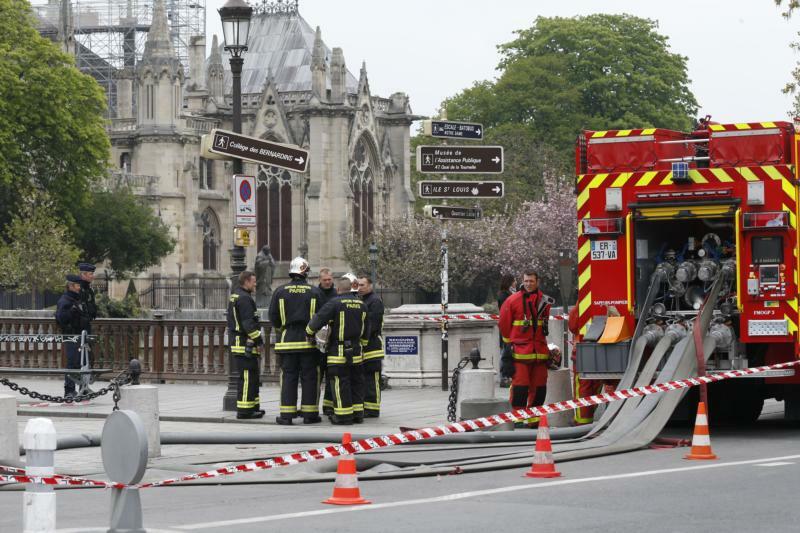 LOS ANGELES (CNS) — It was in the car somewhere between Santa Barbara and downtown Los Angeles that Auxiliary Bishop Robert E. Barron got the news that the legendary Notre Dame Cathedral in Paris had caught fire. Minutes later, he was already on a phone interview with MSNBC, explaining the Gothic landmark’s significance and his own personal connection to it. “It is heartrending,” Bishop Barron said in an interview with Angelus News of the Los Angeles Archdiocese just before the chrism Mass at the Cathedral of Our Lady of the Angels April 15. As a young priest studying for a doctorate in theology at the Institut Catholique de Paris, Bishop Barron spent three years in the French capital and lived blocks away from Notre Dame. He even gave tours of the cathedral to English speakers. Bishop Barron explained that he has a particular attachment to the cathedral’s north rose window, which he calls a “very important and powerful spiritual symbol” for him. It was not immediately clear after the fire was extinguished how the cathedral’s three famous rose windows had fared in the 15-hour blaze. Bishop Barron also noted while the rest of the world mourned the disturbing images, young Parisians were singing hymns to the cathedral’s patroness, Mary. Nevertheless, Bishop Barron expressed hope that in the same way the trials of Holy Week lead to the Resurrection, the tragedy might be an opportunity for God to bring life out of death. Kay is editor of Angelus, the news outlet of the Archdiocese of Los Angeles.